NEW EXECUTIVE HOME ON 1.47 ACRES IN THE HERITAGE SUBDIVISION. 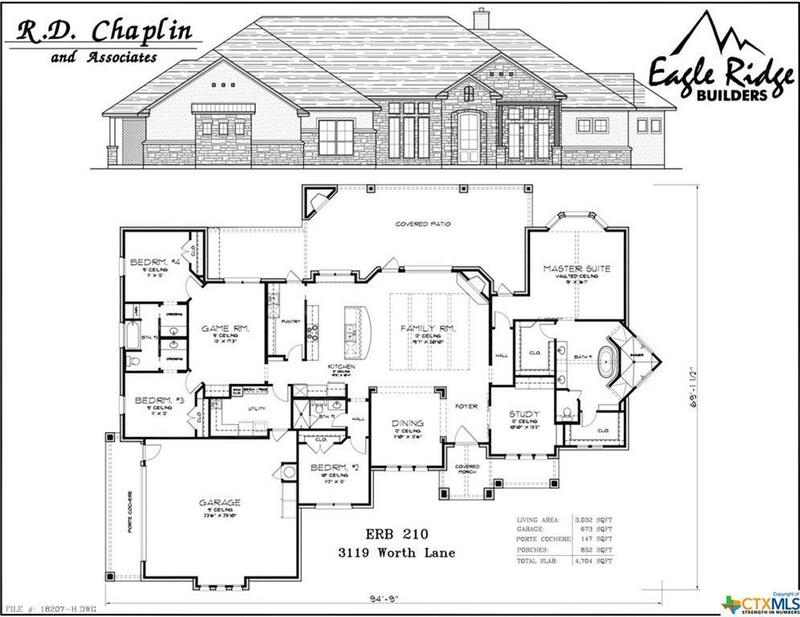 GREAT FLOOR PLAN. LOTS OF EXTRAS TO INCLUDE TILE FLOORS, VAULTED CEILINGS, UNDER MOUNT SINKS, VINYL WINDOWS, CROWN MOLDING, COVERED BACK PORCH WITH GRILL/SINK PLUS FIREPLACE, GRANITE ISLAND IN KITCHEN, STAINLESS APPLIANCES WITH GAS COOK TOP & DOUBLE MICROWAVE, BUTLER’S PANTRY, MUDROOM AREA, 2 CAR GARAGE W/PORTE COCHERE PLUS DETACHED SHOP/WELL HOUSE. PRESENTLY NO CITY TAXES. JULY COMPLETION. Directions: Ih 35 To E Amity Road To Heritage Lane To Worth Lane, Home On Corner Of Worth Lane And Trinity Lane.